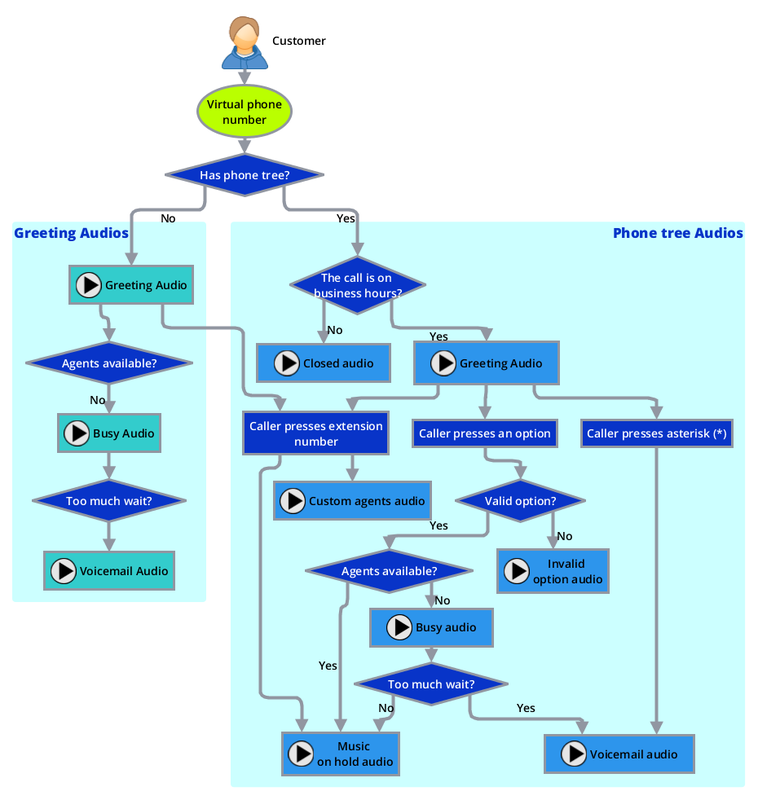 When you have a virtual phone number with Toky, and one of your customers call to your business, audios are played according to the step of callers workflow. The audios played depends on having a phone tree / IVR enabled for your phone number or not. Important: Toky doesn't have default audios for Phone tree / IVR, so If no audio is configured for any option the flow will work and the customer won't hear anything. If you still have doubts, please contact our customer service team.